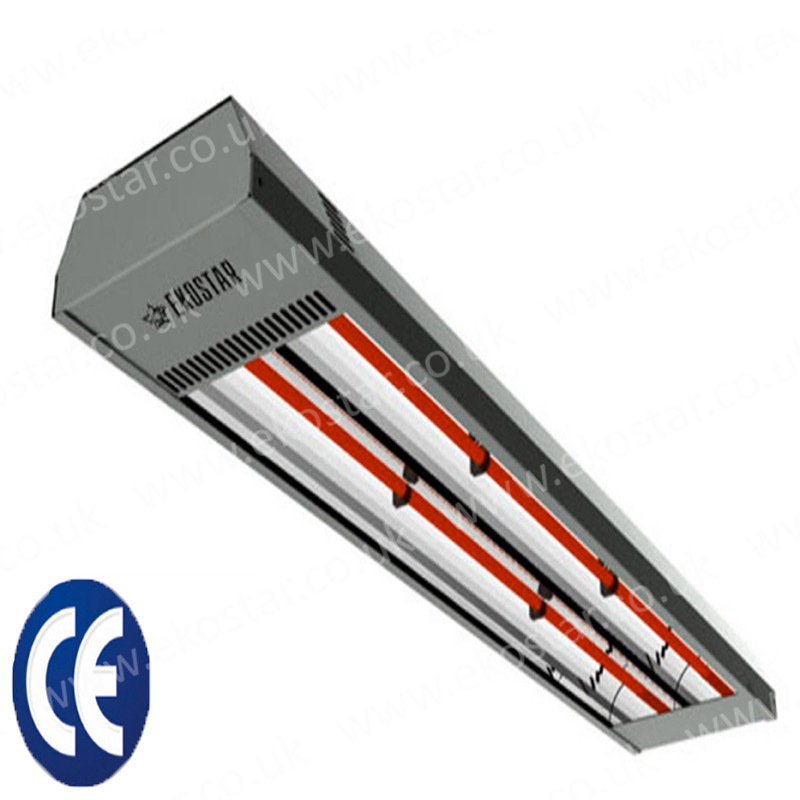 Infrared heaters PRO 2500 are the equipment of new generation that allows to heat industrial space with high ceilings quickly and comfortably with no harm to human health. Used on large premises with high ceilings. Industrial heaters are indicated by the letter (R). Ekostar includes the following range: E- series, A - series, EG-N – series, R-series, and PRO-series. When using infrared heater PRO 2500 of industrial range, the ceiling height on the premises can reach from 3 to 10 meters. Infrared heaters can be used as the primary heating source as well as an additional source of heating on industrial premises and workshops. Installation of Ekostar heating system can be made qualified electrician specialists. Ideal for: warehouses, shops, hangars, garages, factory premises, shopping centers, etc.